Spring Cleaning: How Often Should You Change Your Bedding? Are you one of the 1 in 10 people who only change your sheets every month? Spring cleaning happens but once a year and the time when you switch from winter bedding to summer duvets is usually the perfect time to give your bedroom a clean. But is a seasonal hygiene blitz really enough to ward off the dust, dirt and smells? Most of us wouldn’t like to think that we’re surrounded by filth, but official research suggests your bedroom may be filthier than you want to believe. So, how often should you change your bed sheets, pillows and duvets to maintain a healthy home? We’ll leave the nature of the stains to your imagination, but suffice it to say that bed sheets can get pretty dirty. Yet only a third of Britons wash their sheets on a weekly basis according to YouGov research – and one in ten only change their sheets once a month! 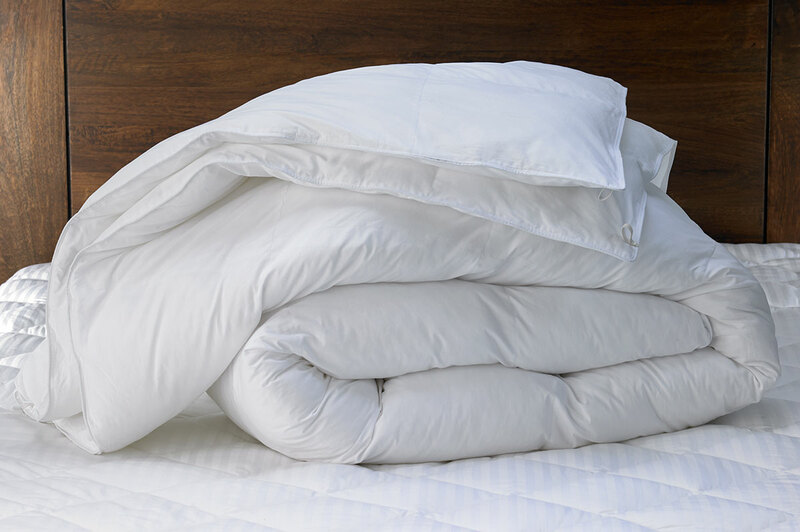 Clean linen will result in a better night’s sleep, as well as better hygiene. Your body naturally sheds millions of skin cells when you’re asleep and that can easily result in irritated skin and eyes if you don’t take care. That’s why our laundry experts recommend washing your sheets once a week to make sure you get your beauty sleep. You spend a third of your life asleep, so you probably don’t want to snuggle your head into a pillow that’s stained and flecked with mildew. Washing pillows at home can be tricky though and you may end up with lumpy sacks of misshapen fluff if you aren’t careful. To strike the ideal balance between softness, longevity and cleanliness, most pillow manufacturers recommend treating your pillows to a clean four times a year – or every three months. Up to a third of a pillow’s total weight can be made up of dead skin and invisible moulds, so it’s definitely worth getting it taken care of at a proper dry cleaners for the best results. When it comes to mattresses, it’s less about cleaning and more about replacing them. According to Mattress specialist Dreams you need to replace your mattress on average every eight years – and you need to turn it over much more regularly than that. Leaving a mattress on one side for too long will cause it to become misshapen, meaning a poor night’s sleep and days of potential back pain. Over 28% of us are sleeping on mattresses that are more than eight years old and far more than that wish they could get a better night’s sleep! You spend the whole night nuzzling and cuddling into your duvet, but over time your duvet will soak up more than its fair share of dead skin and sweat – gross! That’s why it pays dividends to clean your duvet regularly and to make sure your summer and winter duvets are packed away clean. Washing and drying duvets can be a major hassle to tackle on your own, so it’s recommended to send it out to the professionals every three months. If you’d rather do it yourself then it’s important to air it our properly, with plenty of fresh air until it’s absolutely bone dry. Putting it away any earlier will encourage mildew to build up. Prefer the easier route to fresh bedding? You can book a Laundrapp collection today to get your bedding collected, cleaned and delivered back to your door anywhere in the UK!